Once you’ve been "in to" photography for more than a couple of years, you naturally start to accumulate more and more gear. Just because you have a lot of gear, though, it doesn’t mean you have to or want to lug all that gear around with you all the time. Sometimes, all you need to bring with you is a camera body, a lens, a couple other accessories. 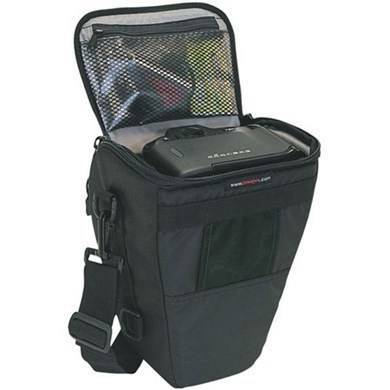 It has one main compartment, accessable via a reverse - open lid which fits a dSLR with a mid - sized zoom lens attached. If you don’t mind a tight fit, you can fit most professional dSLR’s with a battery grip. 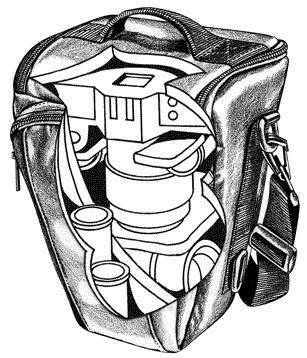 The interior also has a padded lens stacker, but I probably wouldn’t try to fit more than 1 lens in the bag. Details Interior Size: 7.1W x 4.9D x 9.8H in. (18 × 12.5 × 25 cm) Exterior Size: 8.3W x 6.7D x 10.8H in. 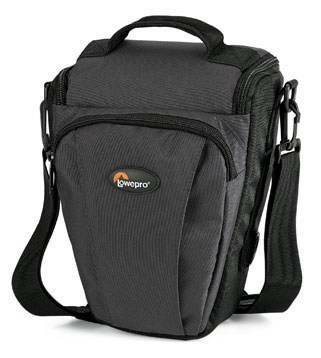 (21 × 17 × 27.5 cm) Weight: 0.56lbs / 0.26kg Outer Fabric: water - resistant 600D TXP and 600D TXP ripstop The Lowepro Topload Zoom 2 camera bag is fairly compact, easy to carry and it fits just about anywhere. It’s not comfortable like a backpack camera bag or even an over - the - shoulder messenger - style bag, but if you only want to bring a camera and a lens with you, you can’t go wrong with the Topload Zoom 2.